The title "Timecode" is almost an ironic answer to the question "How long has this been going on?" that forms the refrain of the Lipps, Inc. song. It's interesting to me that the 60-minutes style "ticking clock" sound is also part of "How Long", but as a rather more subtle effect. I had never recognized it as a clock in that song, and one could debate whether the sound was intended to make that representation. In "Timecode", however, the sound is given a couple of moments to shine, and is instantly recognizable as a ticking clock. The track title helps to suggest this as well. It is very surprising that no one yet commented upon the fact that "Timecode" and its so catchy melodic gimmick, is built around a sample of the track "How Long" by Lipps, Inc. 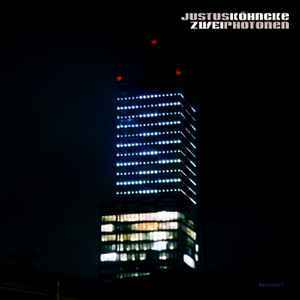 This relativizes the "musical importance" of this track which is a kind of "hit" for Justus and Kompakt. But, on the other hand, it also shows how talented can be Justus Köhncke in the exercise of making a brand new track with its melodic progression, built-up, etc. from a quite simple starting point. Brilliant ! !